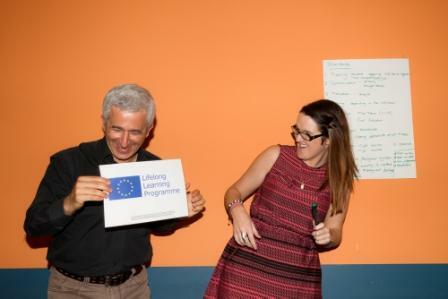 Tandem Now; the European Project which is funded by the Life Long Learning Programme is currently seeking mentors and mentees for the upcoming mentoring programme. Exchange House National Travellers Service is the Irish partner working on the project with six other organisations from across Europe. These organisations include Volkshochschule Tirol, and Verein Multikulturell in Austria, Mozaik Human Resources Development in Germany, CESIE – European Centre of Studies and Initiatives in Italy, Goiztiri in Spain, and BBQ - Berufliche Bildung gGmbH in Germany. The programme is an initiative which gives young people the opportunity to engage in a mentoring programme with someone from a profession or field of study they wish to enter into. They meet with the mentor and get advice, information, support, and guidance about accessing this chosen field and can discuss any queries or fears they have about the profession. The programme is focused on using a blended mentoring style and this means that the mentor and mentee will meet both in person and online allowing for greater opportunities of communication and less restrictions on time for those who may be engaged in work or studies. Mentees who wish to take part in the programme will be given support from Exchange House in terms of meeting with staff and asking any questions they may have. They will also receive training on the use of Skype and email if needed and can use the IT facilities in the organisation for the programme. Those who wish to become mentors and act as role models to younger people in their community will receive specialised mentor training that will give them a detailed outline of the course and highlight the expectations of the programme. Any additional support needed is available upon request.